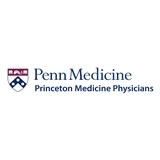 Rednor Risi Family Medicine-Princeton Medicine (Robbinsville) - Book Appointment Online! Donna was not in the office and I saw Catherine instead; but my whole experience with the office was perfect and I would recommend them. The examination was as expected, very thorough. He is very personable. Liked him a lot and look forward to seeing him again. I consider myself to my a complicated patient, and this was a new visit. Dr. Rednor was knowledgeable and professional, and his bedside manner was excellent. He addressed all of my concerns, and was able to provide referrals for anything I asked. I was never rushed, I felt that I had more than sufficient time to address all of my medical concerns, and I felt completely safe and well-cared for, with plans for follow-up when I left. I cannot recommend Dr. Rednor or his practice more highly!